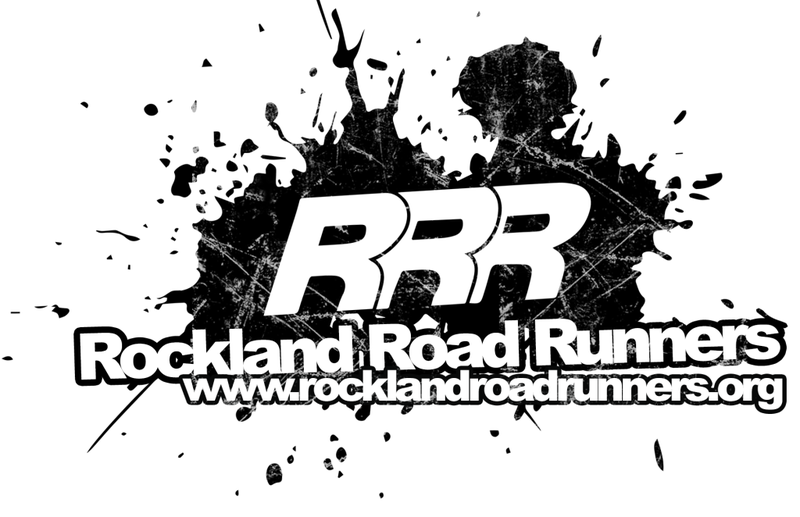 Rockland Road Runners is an organization for runners in and around Rockland County, NY. We promote fitness, friendship, competition, and charity. 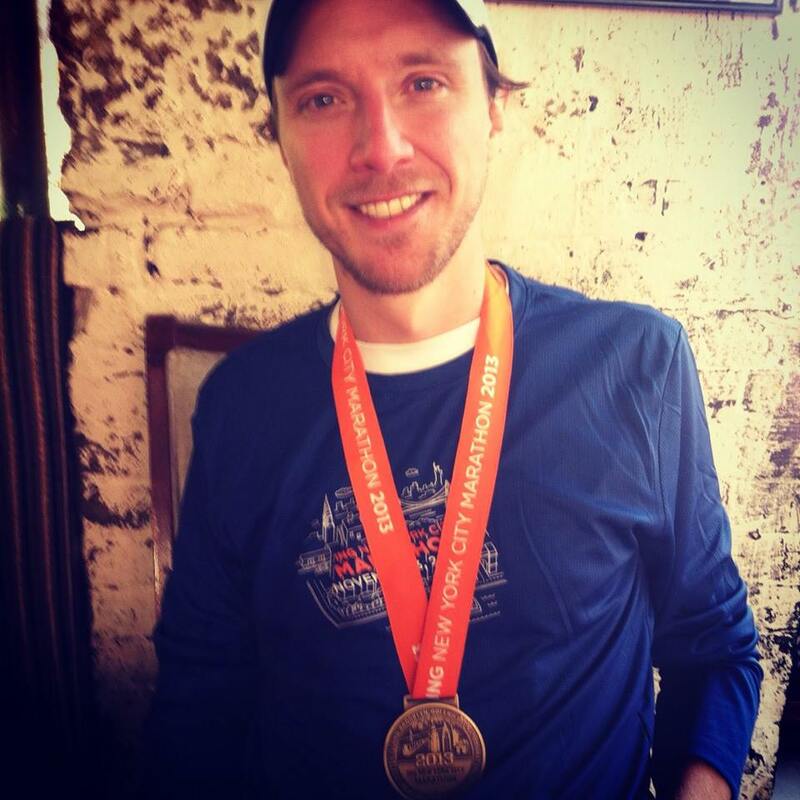 RRR hosts local races plus has a racing team that competes in NYRR races and other events. During the early years of the running boom, in the 1960s and 70s, several attempts to organize Rockland’s runners into a cohesive group had been made, but none were successful for more than a couple of years. 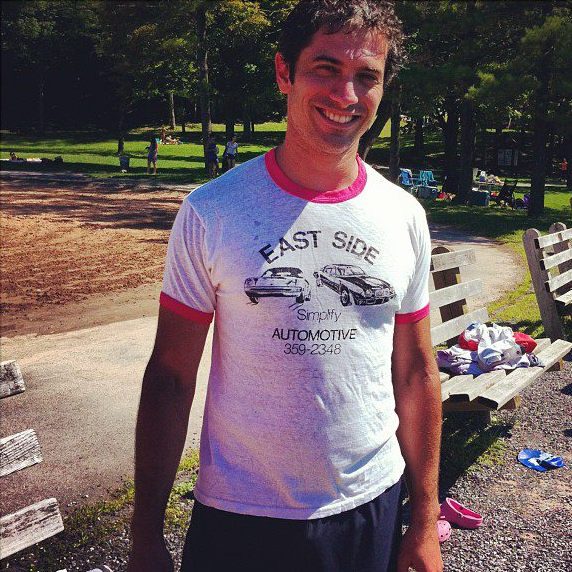 In 1983, after a three-year absence of a local running club, Rockland Lake Runners Association was founded by Pete Mastalli, then of Stony Point, N.Y. (The club’s name was later changed to Rockland Road Runners to reflect the fact that many members did not run at Rockland Lake State Park.) Pete enlisted volunteers, obtained mailing lists from local races and mailed out initial information to prospective members in January of 1983. That fall there were three meetings at which a club constitution was accepted, committees were formed and officers were selected. By the end of the year there were 50 paid members and a mailing list of 150, and club president Mastalli had started something big. “The goals of the club are to promote and support running, racing and jogging in Rockland County and to give county runners a local club to belong to and compete for.” Mastalli is quoted in a Rockland Journal News item December 12, 1983. “There’s no sense in people going to join clubs out of the area when they could have a focal point based in Rockland to be a part of.” The goals of the club remain the same today. 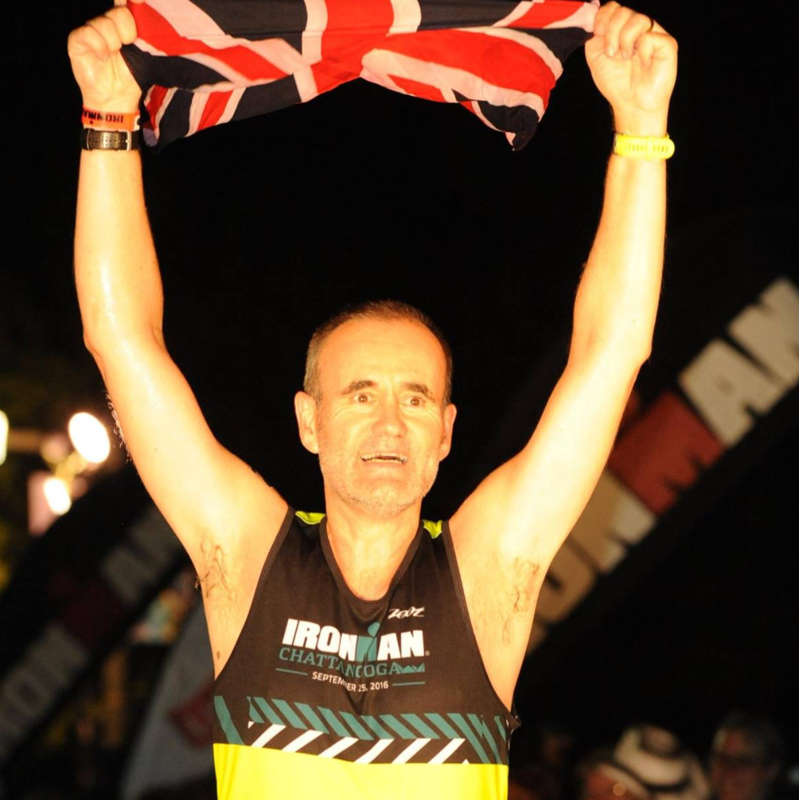 Pete’s vision of the club as a clearinghouse for running information in the county has become a reality, as the club is regularly consulted by groups planning races regarding available dates and how-to information. Mastalli served as club president until August 1985, when time restrictions compelled him to step down. By then the club had begun to hold regular races and track workouts and had a solid core of members and volunteers, many of whom remain active in club leadership today. The presidency was filled by Mike Angarola of Nyack, under whose direction RLRA purchased a finish line clock and equipment and initiated a professionally printed newsletter, The Runaround, both in 1986. Mike served until 1991, while the club membership grew to over 250 and regular races such as the Hook Mountain Half Marathon and the Women’s Festival 5K were added to the local calendar. A Person of the Year award was initiated for the member who had contributed the most to the club and the local running community. This award is selected by a committee of previous winners and is presented either at the club’s annual holiday party in December or at the January general meeting. Mike Angarola is the only person who has won the award twice, a tribute to his service to RRR. Another early Person of the Year award winner is Mike’s wife Ann McGrath, a charter member of RLRA and the club’s first vice-president/membership chairman. She and Mike met through the club and they have been active in various capacities ever since. Ann served as race director for the Women’s Distance Festival for several years, as well as on the board of directors. Mike is director of the South Nyack 10 Mile Race held in September, after serving several years as finish line manager for all the club’s races. Later the Person of the Year Award was changed to the Don Cordisco Award in memory of a popular member who died of a heart attack in his 30s in 1989. The award’s focus was also changed to reflect longtime service to the club rather than the achievements of only one year. The club’s third president, Tony Maulucci of West Nyack, served until 1998. It was during this time that RLRA became RRR unofficially and the membership and reputation of the club continued to grow and solidify. Since volunteers are often hard to find, not only club presidents but also other officers and key leaders tended to serve RRR for long periods of time. Bernie Casserly of New City served as treasurer from 1987 to 1999, when he became finish line manager, and Kathleen Daly of Nanuet took over as keeper of the funds. Jim Hyland of Congers was membership chairman from the earliest days until 1998, when Fred Turk of Congers stepped into that time-consuming role. The Runaround, the club’s newsletter has always been the lifeblood of RRR, which presently has well over 400 members throughout the tri-state area. The first newsletter editor, Joyce Magee of Bardonia, took on that role again in 1996 after many years’ absence. In the intervening years, Mike Shore of Suffern and later the “A-Team”, Roy Abraham and his wife Erika Schafer, did an outstanding job for five or six years apiece, the latter bringing newsletter awards from RRCA. The club’s weekly track workouts have been supervised each summer, at first by Walter Johnston and later Dennis Rankin. These sessions have helped members improve their racing times and conditioning. For two years, Bernie Casserly and Bill Fortune of Pearl River took on that task, and they then assisted Art Reilly of New City for about 10 years. Jamie Kempton of Nanuet and Jesse Hackell of Suffern have shared the coaching duties for the past few years. Last year the sessions were renamed in honor of Fortune, a popular club member and outstanding masters runner who died in 2010. Members of all ages and abilities are invited to participate in these Wednesday evening sessions. From 1998 to 2002, RRR’s presidency was in the capable hands of Sue Hale of Congers, who previously had directed the Hook Half Marathon each April for eight years. Bringing her organizational skills to the presidency, she oversaw the revision of the bylaws and the legal change of the club’s name, and updated many procedural items that has assured a smooth future and transfer of leadership. These years have been eventful! During them, RRR’s website was designed and is maintained by Frank Dickinson of Stony Point. Nicole Olds of Congers designed and maintained websites for each of the club’s races. In addition, a porta-john was bought by RRR and installed at the Rockland Lake firehouse for the convenience of runners and other park visitors. 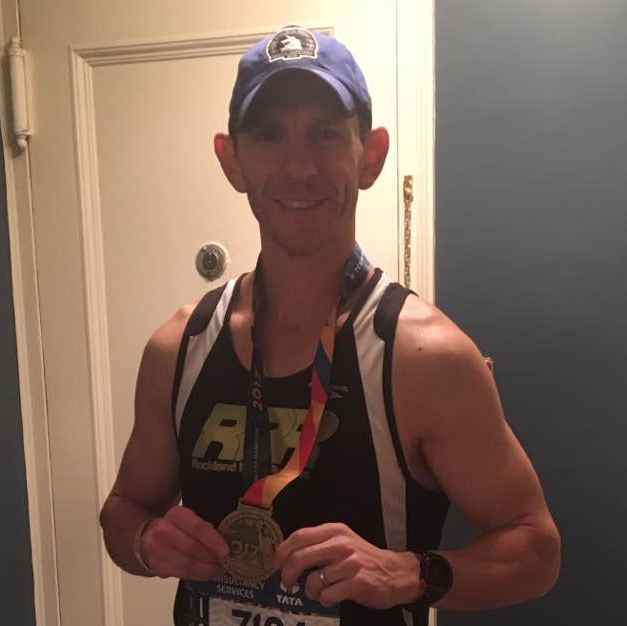 A semi-annual cruise on the Hudson and RRR’s buses to the NYC Marathon, the Midnight Run in Central Park and other races have enabled members to participate and socialize with one another. In a project spearheaded by Mike Greco of Haverstraw, RRR “adopted” a stretch of county road at Rockland Lake State Park through the Adopt-A-Road program, and is committed to maintaining it four times each year. 2002: In January leadership passed to President Mike Greco of West Haverstraw. In addition to being an active volunteer and board member, Mike has been the race director of our Thanksgiving Day 5 mile Turkey Trot since 1997. New Vice-President Larry Wolf of New City took over the office from Fred Turk, our membership chairperson. Secretary Bridget Weinberg of Congers took over from Joan Maher of New City, who had served as secretary four years. Membership approaches 400 and many new projects and ideas are on the horizon. Regular meetings and monthly board meetings help members get acquainted and enjoy informational speakers. Rockland Road Runners is proud of its record of raising money for local causes through its popular five annual races. Each year RRR donates over $25,000 to organizations, including United Hospice of Rockland, Rockland Family Shelter, People to People and others. Because it has a core of committed volunteers, generous sponsors and loyal runners, Rockland Road Runners plans to continue this tradition. 2003: Club meetings continued to be held at the Nanuet Restaurant. Race directors Alison Luscher and Tim Englert introduced a new race, the Breathe Easy 5K Run/Walk, held May 18, at Rockland Lake State Park. 2004: Elections were held in the January meeting, with Mike Greco (President) and Larry Wolf (Vice President) continuing for a second two-year term. Other officers elected were Treasurer Bernie Casserly and Secretary Enilda Indyk. Under the direction of membership chairperson Fred Turk, club membership surpassed the 500 member mark for the first time. RRR continued its partnerships with local charitable organizations through all of its races and special events, such as the American Cancer Society’s “Relay-For-Life”, the “Hood to Coast Relay” benefiting Habitat for Humanity of Rockland, Rockland Family Shelter, United Hospice of Rockland, Rockland County Police Hispanic Society, People to People, and the Pediatric Blood & Bone Marrow Transplant Program at the Children’s Hospital at New York Presbyterian and Columbia University, among others. 2006: In 2006, Laura DiMarino and Ernest Joseph were elected President and Vice President. In addition to strengthening our ties with the community and building attendance at RRR races, Laura and Ernie organized a competitive team to participate in New York Road Runners’ Club Points races. “Team RRR” has been consistently scoring in the top ten of several divisions. The “Breathe Easy” race, scheduled in May was re-designated the Marisa 10K Run and 3 Mile Fun Walk. 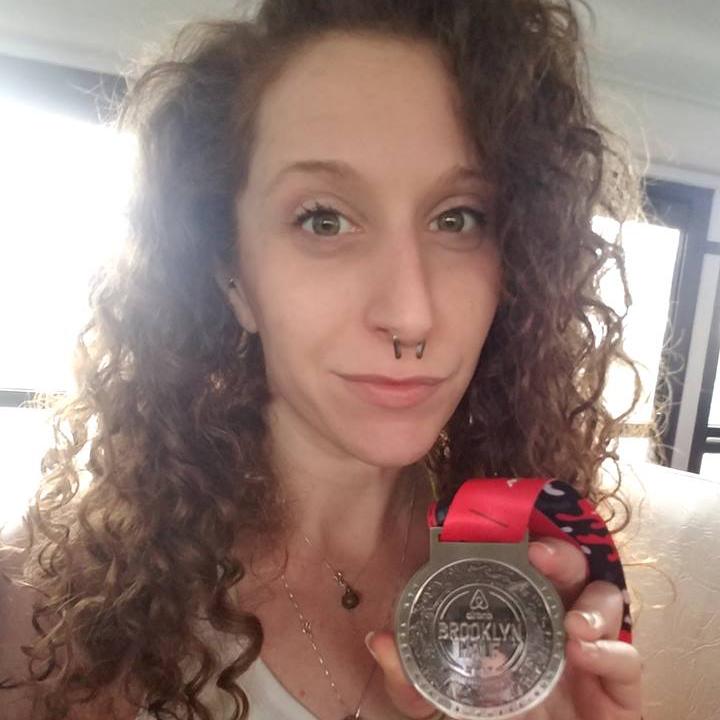 Established by Marisa’s father and longtime RRR member Dave Goldwasser, the race helped raise awareness and funds for the Pediatric Blood and Bone Marrow Transplant Program at the Children’s Hospital at New York Presbyterian / Columbia University, through the Marisa Fund named in her memory. The post of Activities Director was added by the board and filled by Cheryl Langus, whose organizational skills were a great complement to Laura and Ernie’s enthusiasm. Ernie also took on the task of organizing group training runs, helping club members prepare for spring and fall marathons. 2008: In the 2008 club election, popular club member JC Santa Teresa was elected President, while longtime treasurer Bernie Casserly moved into the VP spot. Ed Howard was voted into the treasurer position and Shelly Shrem was elected Secretary. JC and his team hope to build on RRR’s reputation for well-organized and memorable events. Attendance at many of our events has reached record numbers, thanks to our race directors, volunteers, and a growing membership. We are looking forward to a great year! History is still being made.. check back soon for updates!